This book describes the origin, development and current state of volunteerism in Hong Kong. The book presents a field-tested model of empowering through volunteerism (namely, the CYEP at City University), that involves youth, governmental and non-governmental agencies and their clients in a rapidly changing society. Volunteerism is then described as a ‘win-win’ situation for all stakeholders/actors. Volunteerism converges the needs, the struggles, the personal motives and the aspirations of the volunteers, together with the dreams and the difficulties of the clients, the expertise of the professionals and the (lack of) resources of the agencies, the new values emerging in society, the effects of globalization and the new policies. 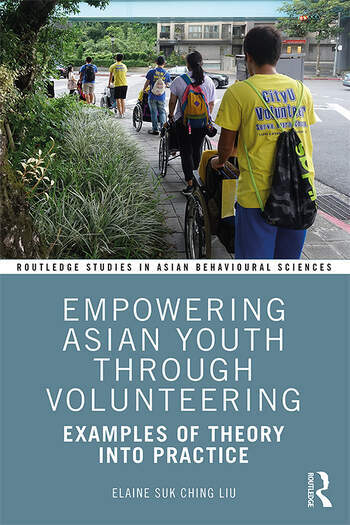 This book presents actual Asian case examples with the voices of the people involved on the CYEP (volunteers, officers, service recipients) who explain how volunteering changed their lives, their values, their attitudes toward social, civic and political participation, their ethics and sense of individual responsibility. These stories from the frontlines can be adopted and/or adopted for use by other institutions, but it is also the chance for understanding the emergence of volunteering in Asia overall, and its future direction.